- Outdoor field with goals and, if possible, an indoor playing area to be used in case of bad weather. - Classroom area with blackboard/whiteboard and a projection screen or area to project images. Select a site coordinator for the course. He/She will be the contact person for Eastern Pennsylvania Youth Soccer and is responsible for opening and closing the facility for the course daily. Choose two possible dates for the course you would like to host. Complete this online application below and submit it for consideration. You will be notified when your application is reviewed. 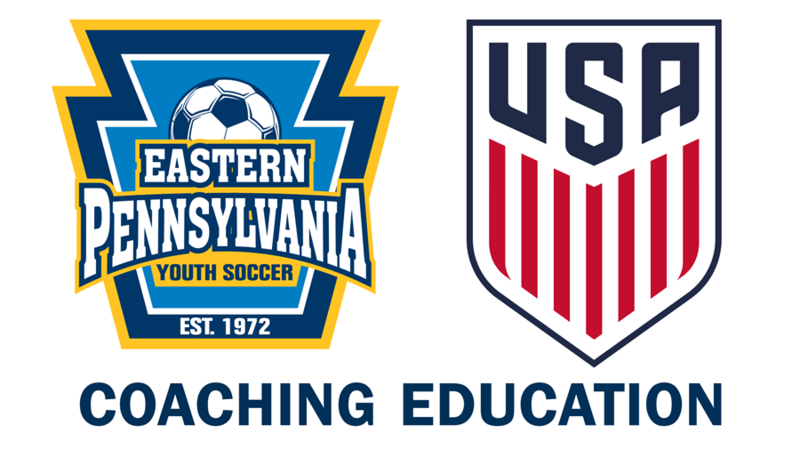 Eastern Pennsylvania Youth Soccer's Technical Director will assign the instructor(s). Eastern Pennsylvania Youth Soccer will post the course on the state’s website, the Digital Coaching Center (DCC) and promote the course. If the course enrollment is not met one week prior to start date of the course, the course will be cancelled or rescheduled. Certification and or licenses will be given only to those candidates who attend the entire course and successfully complete the course requirements. Licenses will be made accessible to the candidates through the DCC within three weeks after the course is finished.